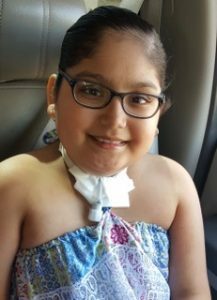 When we first met Marisela, she was in the intensive care unit with extremely compromised health. She could not move, and her intense pain was written across her face. Pain caused by LCHAD (Long-chain 3-hydroxyacyl-CoA dehydrogenase), a rare condition that prevents the body from converting certain fats to energy. In the 89 days, long stay in the ICU Marisela and her parents also had to endure being separated from Marisela’s older sister, who was being looked after by relatives. 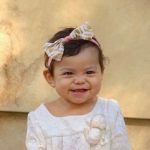 Though the separation was extremely difficult for the entire family, with her parents by her side, Marisela’s condition began to improve and little by little she became healthy enough that she was able to go home. Today, Marisela is thriving. She has been inspired by her time in the hospital and began a foundation of her own giving sick children birthday boxes (boxes full of goodies) so they can celebrate their birthday even while they are in the hospital. She is especially remarkable not only for her bravery and courage but also because of her heart to help other critically ill children. We paid this family’s rent for one month, giving them the ability to stay at their daughter’s bedside.